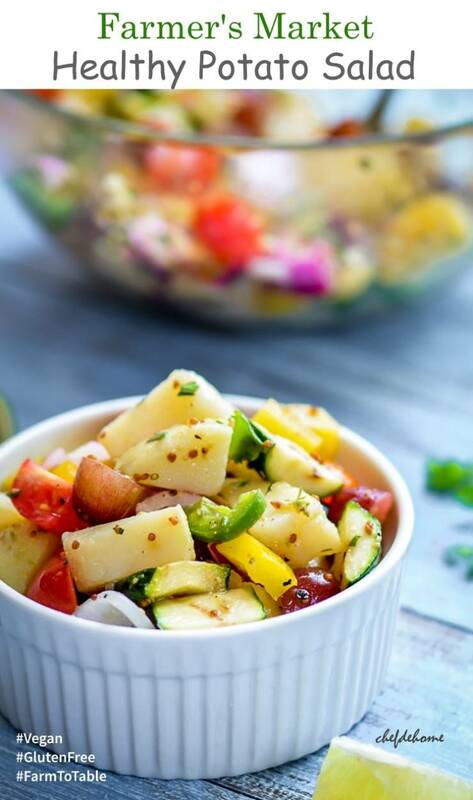 This potato salad is much more than just a plain potato salad.This salad has no creams, no mayo, no eggs and variety of fresh farm vegetables for crunchy texture. And a lite and tangy mustard dressing to balance all the flavors. 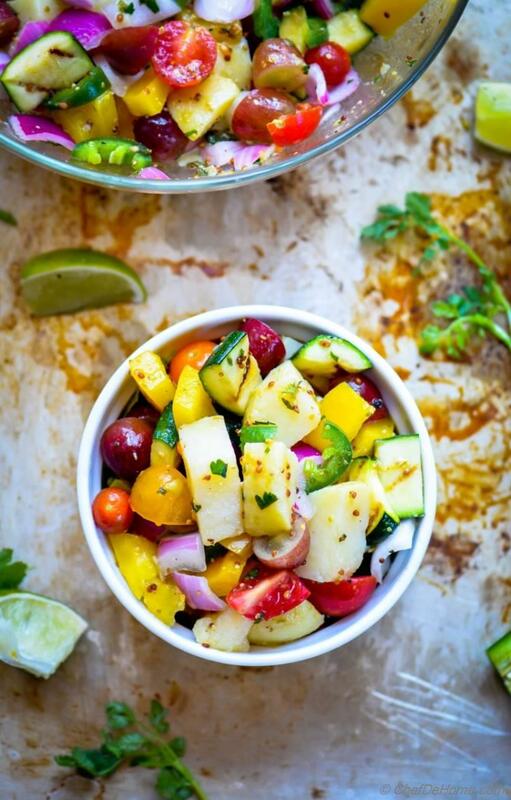 Clearly, this is salad is not like a traditional potato salad and screams summer in every bite! I mean, look at the pictures, does this look like "summer in a bowl" or what? Potato Salads have reputation of being "heavy". However, making salads at home gives us option to keep'em healthy with ingredients of our choice! Isn't it? So, when I craved for Potato Salad last weekend, I decided to lighten-it up a bit! 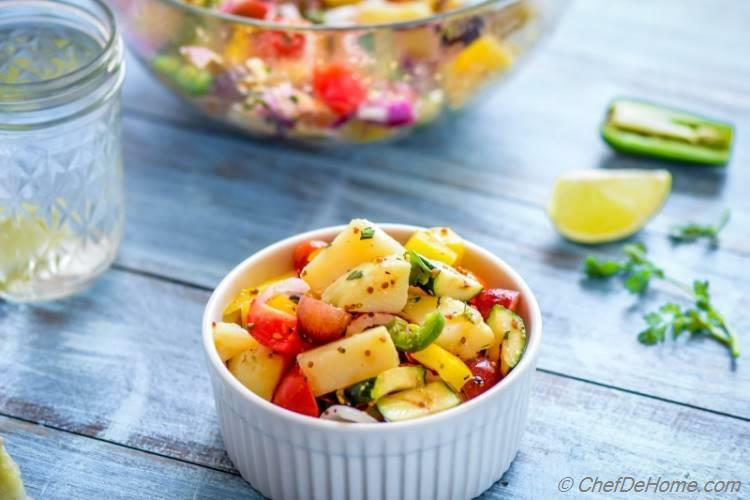 In one line, this Healthy Potato Salad has lots of color, lite dressing, and grilled flavors! Sounds so summer-y, isn't it? This also gave me opportunity to keep it vegan, gluten free, dairy free, and egg free. 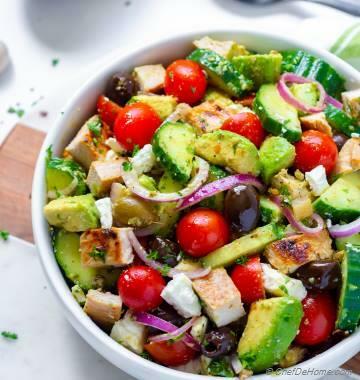 A salad this good is not just perfect lite-side for your next Family-style Summer Grill-Out, but is also great side for healthy yet filling Weekday Chicken Dinner! And, it is still called "Potato Salad"! How good does that sound? 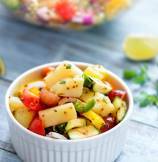 I hope you will like my healthy take on, classic and everyone's favorite, Potato Salad! Do let me know, what is your favorite Potato Salad?! And do you like potato salad creamy or lite, like this one? Smart Swap For a nice and sweet change, replace Potatoes with Sweet Potatoes! 1. Boil Potato: Bring a deep sauce-pan, filled with water, to rolling boil, and add potatoes, then cook until fork tender. 2. Make Dressing: While potatoes are cooking, in a wide salad bowl, add all dressing ingredients except salt and pepper. Whisk to emulsify oil with vinegar. Add salt and pepper per taste. Set aside. 3. Grill Zucchini: Heat an iron griddle (or use outdoor grill) and spray with oil. Grill zucchini until nice grill marks appear and is tender per your liking (I like to grill for 2-3 minutes each side). Season with salt and pepper, slice into bite size pieces, and set aside. Also chop rest of veggies, if not already. 4. Assemble: Once potatoes are boiled, peel and discard skin. Dice into big cubes. Add to bowl with dressing with rest of the salad ingredients. Toss to combine. Refrigerate until ready to serve. Best when served 20-25 minutes after tossing ingredients into dressing. Gauri, thanks! Grilled zucchini was really delicious in this salad. I am loving all the colours. I also really like the dressing that you have used - it makes a nice change from a creamy dressing that usually goes on potato salad. Dannii, thanks! I love using mustard with potatoes, so added to the dressing as well. I'm glad you liked it. This is definitely summer in a bowl! I love all the veggies you added in here and that the dressing is so light and healthy. I can't wait to try this! Thanks, Keri! This dressing is really very delicious. I hope you get chance to try it soon! 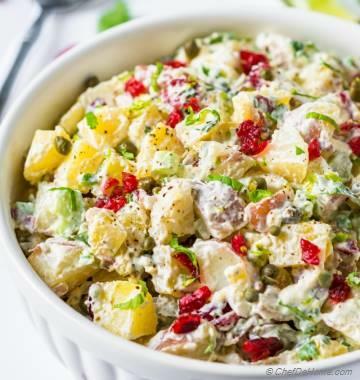 I am all up for this healthy potato salad! looks yummy! I love the use if fruits in your salads Savita, adds so much flavor!! Manali, thanks! Really, I love fruits in salads! As you said, add additional layer of flavor! So obsessed with this! I love love LOVE all the different vegetables you threw in here! I am so, totally, definitely making this! Annie, thanks! I'm so pleased you this salad so much. I hope you get chance to try it soon! What a fun dressing, Savita! I definitely enjoy creamy potato salads...but I don't like them to be swimming in mayo either. 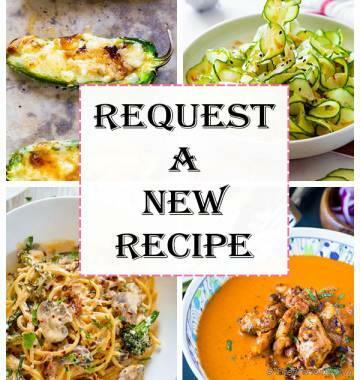 This version looks super light and healthy...oh, and the grilled zucchini in there is an awesome touch. Love it!! Thanks, David! Thanks for sharing you thoughts on potato salad. Trust me, Mustard Dressing is the STAR in this one! 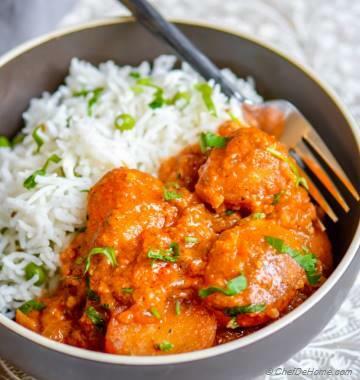 This looks like a gorgeous potato salad, Savita! 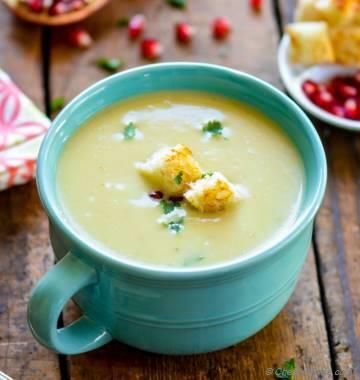 Love the mustard dressing and the fresh flavors!